Following the Ministerial meeting at the Westman Islands, a Joint Declaration on Cooperation was signed between EFTA and the Philippines. The signing took place at the Eldheimar Museum, which exhibits the effects the volcanic eruptions on the main island in 1973. 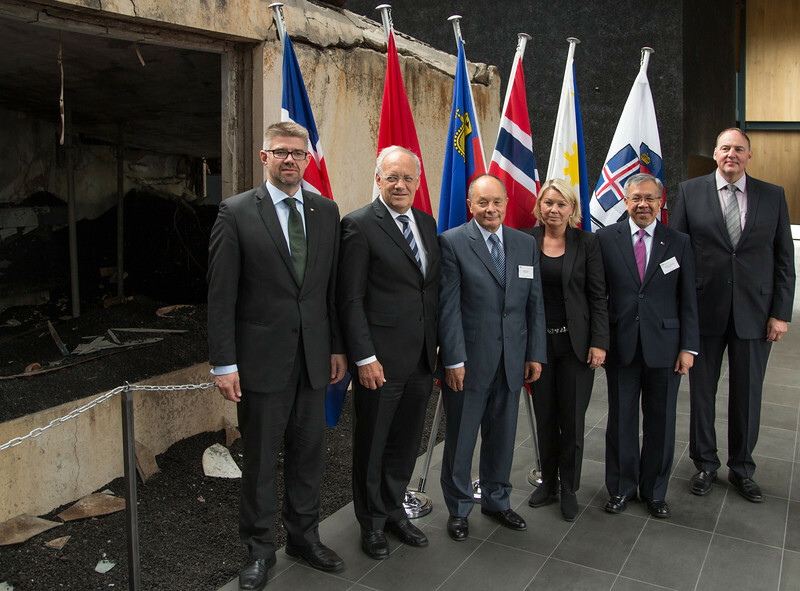 From left: Mr Gunnar Bragi Sveinsson, Minister for Foreign Affairs and External Trade, Iceland (Chair); Mr Johann N. Schneider-Ammann, Federal Councillor, Head of the Federal Department of Economic Affairs, Education and Research, Switzerland; Mr Norbert Frick, Ambassador, Permanent Representative Permanent Mission in Geneva; Ms Monica Mæland, Minister of Trade and Industry, Norway; Mr Gregory L. Domingo, Secretary, Department of Trade and Industry, the Philippines; and Mr Kristinn F. Árnason, Secretary-General, EFTA.